The chinese smartphone brand Xiaomi launched an investigation on the recent case of Redmi note 4 which caught fire in East Godavari, Andra Pradesh.According to Bhavana suryakiran, when he was riding his bike the handset caught fire .He stopped the bike and threw the mobile away but he sustained burn injury on his thigh. Suryakiran Told the Telugu Television Channel that to claim compensation he will approach court. The mobile company told all the xiaomi usersto avoid opening devices,puncturing the batteries and also requested not to repair the handsets by unauthorised shops. Xiaomi's serves 17.9 market share in Indian smartphone space. 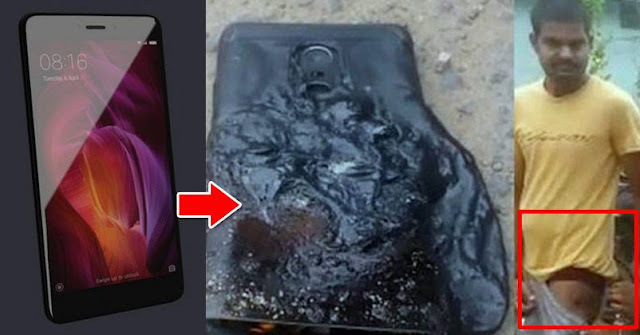 According to the investigation held by Xiaomi, they concluded that extreme external force was applied to the smartphone,which led top the back cover and battery being bent and screen getting damaged.Still the smartphone company is arranging a detaileed investigation to get the actual cause of the incident.